Policy makers still think that if we just hand out more money the world’s problems will be solved. Despite being able to demonstrate a very large audience, major advertisers at first wouldn’t touch Limbaugh. For one, the Qur’an is considered by Muslims to consist entirely of words spoken by Allah himself. 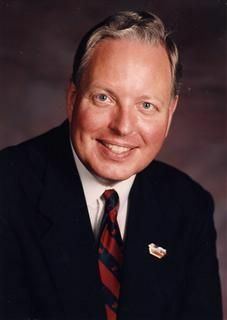 Paul Michael Weyrich (October 7, 1942 – December 18, 2008) was an American religious conservative political activist and commentator, most notable as a figurehead of the New Right. He co-founded the conservative think tanks The Heritage Foundation, the Free Congress Foundation, and the American Legislative Exchange Council (ALEC). He coined the term "moral majority," the name of the political action group Moral Majority that he co-founded in 1979 with Jerry Falwell. After Vatican II he transferred from the Latin Church of the Roman Catholic Church to the Melkite Greek Catholic Church and was ordained as a deacon..